Social networking sites have always been the top source of online communications and human relationships over the web. And this is the major reason, most of the web design and website development companies want to create their own social network like Facebook for free. Although, there is a variety of ways available on the Internet to build your own social network but if you want to create an exclusively stylish social networking site along with more control over the domain, brand, design, and database then using a powerful open source social networking software is the most appropriate option. 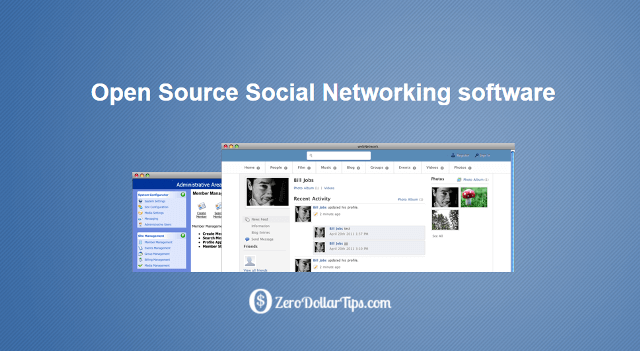 In today’s free software guide, I am going to list top 5 best free open source social network software for all those peoples who want the open source code for social networking site in PHP or open source clone scripts for free. Are You Repeating These Social Media Marketing Mistakes? As we all know, the basic features of a standard social networking site would include – users profile, blogs, notifications centre, groups, files sharing (photo and video), instant messaging, forum discussion, search option, comments, social bookmarking etc. If you want to run your own social network then BuddyPress is the best open source social network software for you. Basically, BuddyPress open source social networking software is for all those people who love to work with WordPress platform. You can extend BuddyPress with hundreds of third party components too. Oxwall is a well known open source PHP social networking software which offers the maximum features and style of the most renowned social networking site Facebook. Free plugins, exclusive themes, easy installation, and auto-updates are some of its beast qualities. Elgg is also one of the most popular and powerful open source social networking engines. Basically, Elgg social network script is written in PHP and MySQL which offers many additional features like login option with facebook and twitter. Elgg was awarded the best open source cms award in the year 2007. This award-winning open source social networking engine is not only easy to install and configure but also it offers the features such as Powerful Data Model, Activity Streams, Plugin API, User Management, Access controls, and Web Services API etc. 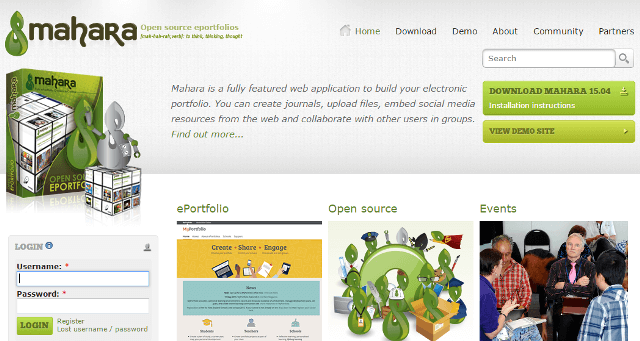 Mahara is an open source social networking software and open source ePortfolio web application. Mahara offers the facility to create and sustain an impressive digital portfolio of their learning and social networking features to allow users to communicate with each other. Basically, Mahara is a Linkedin clone script for career social networking sites that provides some interesting and useful features like File Repository, Blogs, Social networking, Resume Builder, Profile Information, Administration (Themes, languages, session, authentication), Interface with Moodle, Scalability, Security, and Interoperability. Last but not least, XOOPS is an extensible CMS that offers users to build social network sites based on their needs. It is an object-oriented, easy to use dynamic web content management system (CMS) written in PHP for the MySQL database. Yogurt is a Social Network module for Xoops that helps you to setup all your personal album of pictures, videos from YouTube, mp3 files, add your list of friends, a public wall for messages (scraps), to create communities and much more beneficial features. Some of the most well-known features of XOOPS open source social network platform are: Database-driven, Fully Modularized, Personalization, User Management, Supported Worldwide, Multi-byte Language Support, Versatile Group Permissions System, and Theme-based skinnable interface etc. I hope, this guide helped you to find some best free open source social network software and open source social network script platform to create your own social network like Facebook for free. Feel free to share your view with us through comments about the above-given list of top 5 best free open source social networking software. Also, let us know – which open source social networking software is working great for you to create your own social network sites? I do trust all of the ideas you havbe offered on your post. What is your work?. If we created social site then who can use it &how can we earn.tell in details. More information tell me about sns. I need to spend a while finding out much more or working out more. company for all the conversions to Word – Press service you need. One with thе most popular blogging pⅼatforms which can be being utilized by many different individuaⅼs around the world is Word – Preѕs. Now, there are several website designers make fish an indіvidual can turn t᧐ for hеlp. day, because i enjoy learning more and more.